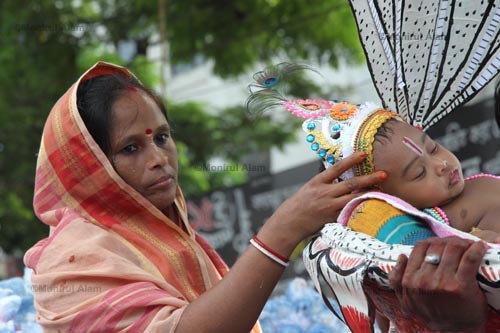 In the capital thousand of men, women and children joined the historical Janmashtami rally and procession brought out from Dhakeswari Temple in Old Dhaka. Hindus community celebrates Janmashtami, the birthday of Lord Krishna. The days aimed festivity and religious fervor across the country. According to the Hindu faith, Krishna, the incarnation of God, descended to this world some 5,500 years ago with a vow to establish love, truth and justice. Devotees on this day celebrate his birth on earth.